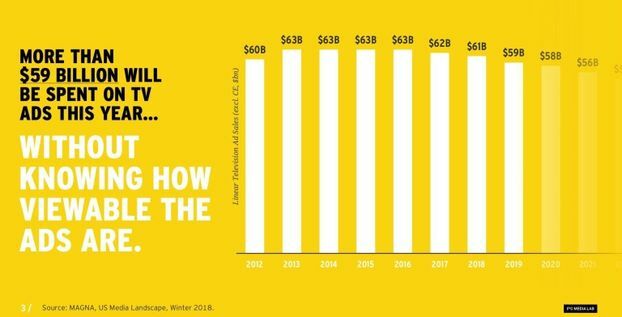 More than $59 billion will be spent on TV ads this year but 29% of those dollars are wasted because the ads are not being viewed. 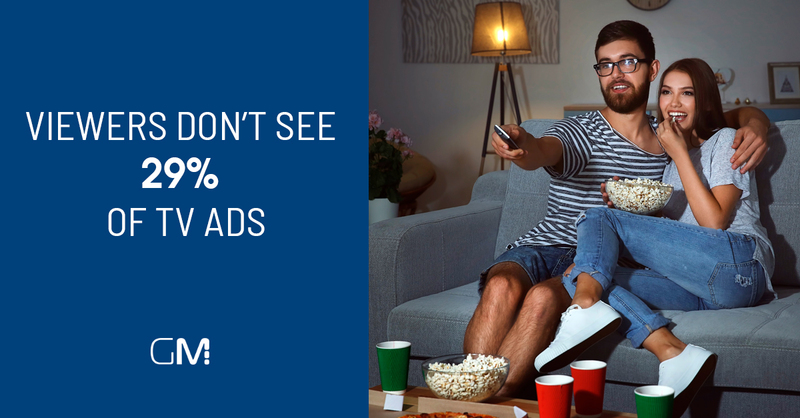 That’s over $17 billion that is wasted on TV ads that nobody will ever see according to IPG Media Lab study. However, the study raises more questions than they answers. For example, how many people, even if they are in a room when there is advertising, really pay attention to it, and do not engage in other tasks. According to a study by Microsoft, the average human being now has an attention span of eight seconds. That’s high. 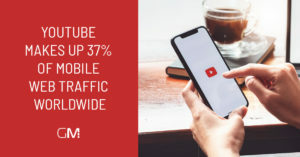 Facebook users spend an average of 1.7 seconds with any piece of mobile content on the platform, compared to 2.5 seconds on desktop. A young audience interacts with information even faster. 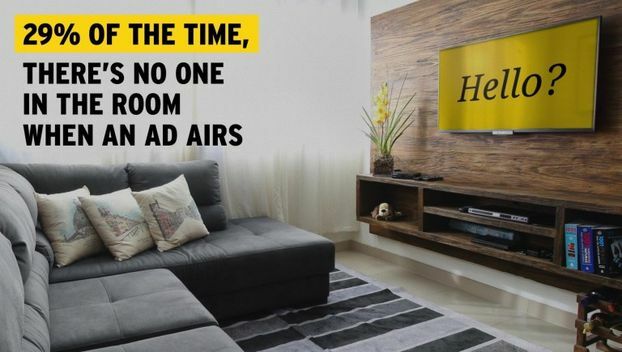 TV spots today have to capture the attention of consumers and that can only be done by ensuring that spots are fresh. 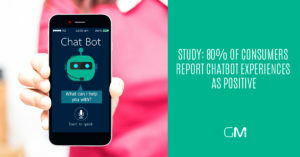 Increased reach and frequency is not going to lead to more sales just a feeling that your spots “are annoying”. Therefore, the TV spots should be made short and simple. The research from IPG Media Labs shows no correlation between longer spots. Measure the awareness of your audience when it comes to spots. Don’t reuse old spots to increase the frequency. 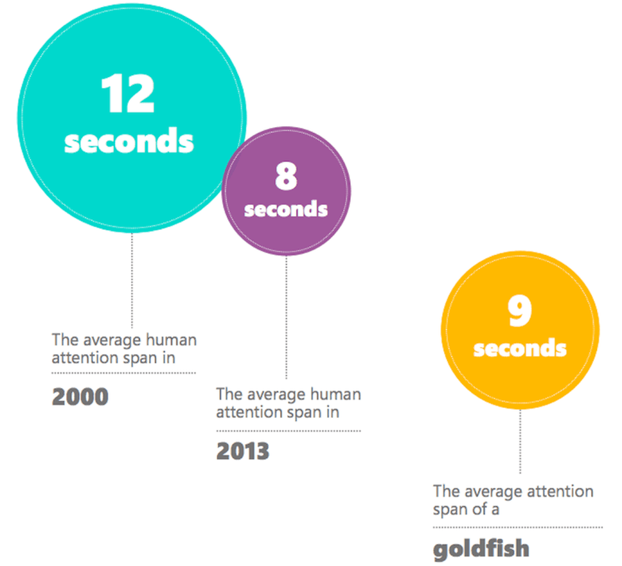 On the web, attention spans are even shorter, so you should be more creative here to get attention.